Parachute is the largest Christian music festival in the Southern Hemisphere and occurs at the end of January each year. Starting from humble beginnings in 1990, the event has grown steadily and now attracts around 25,000–30,000 people each year. This year, 2010 marked the 20th anniversary. Although the central theme of the festival is music, there are many other events including drama, seminars and exhibits. Inspired by the ‘Curious Earth’ street outreach featured back in Creation magazine issue 29(4) the CMI Hamilton Support Group1 [Editor’s note July 2014: In Australia, Support Groups have for some time been renamed to be ‘Friends of CMI’ groups] stepped out in faith and in January 2008 had a stand for the first time at Parachute 08 with the same theme of ‘Curious Earth’. This was a real success and a great learning exercise on which to build. By sharing our experiences in this article, we hope it will inspire other groups around the world to take part in similar outreaches at Christian music festivals, using quality CMI materials. Last year, 2009, was a significant year in evolutionary circles with the 200th anniversary of Charles Darwin’s birth being strongly promoted. So, for Parachute 09, the Support Group felt that a significant increase in presence was called for. 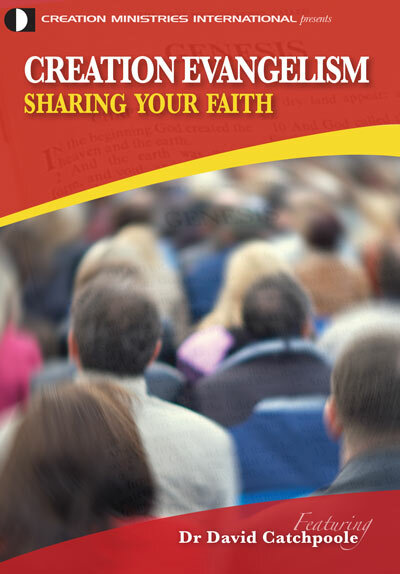 Again in faith we reserved a double site in a large exhibition marquee shared by several evangelistic, training and overseas mission organisations. Taking this opportunity to respond, the CMI stand had prominent posters and material acknowledging Darwin’s influence and prompting the question: “If Darwin knew what we do today, would he still have formulated his theory of evolution?” This was of course a major theme for CMI and other creation ministries world-wide. We have met many people keen to hear the creation message and have their questions answered. 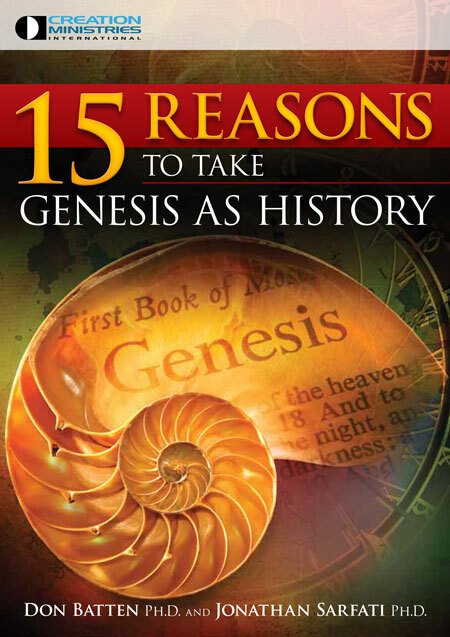 Other major topics which are used each year are dinosaurs, the Flood and Ark, biology, geology and most importantly, the vital need to have a creation basis for our Christian faith and witness. The CMI stand attracts many visitors over the four days. Prayer requests for key people to reach (link and feed) are amazingly answered. Many youth leaders, teachers and evangelists have visited and we are able to give each of them resources and encouragement to impact particularly the youth in their sphere of influence. For example, over NZ$2500 worth of booklets, brochures and Creation magazine back issues were given away at Parachute 09. A number of visitors sign up for the free lnfo Bytes email newsletter and/or the Creation magazine. This year, for Parachute 10, we chose the theme of ‘The Heavens Declare’. This astronomical focus was in response to the recent upsurge in interest in UFO’s, extra-terrestrial life etc following from the recent major movie releases ‘Avatar’ and ‘2012’. We joined forces with a like-minded couple who have their own apologetics ministry and who also have a 1/90th scale Ark model. The combination of our stands was a very effective partnership that really had an impact. 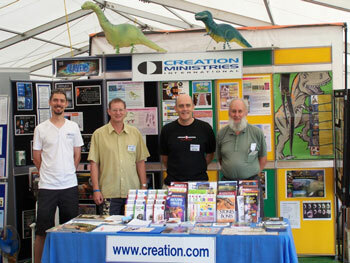 Every year we have met many people keen to hear the creation message and have their questions answered. One of the Hamilton CMI Support Group members is a high-school science teacher and he is able to interest and draw in high-school-and university-age passers-by. Provocative posters made from Creation magazine articles are always great conversation starters. Subjects like the vegetarian lion, ‘fresh’ dinosaur tissue and the real Ark promote lively discussion. 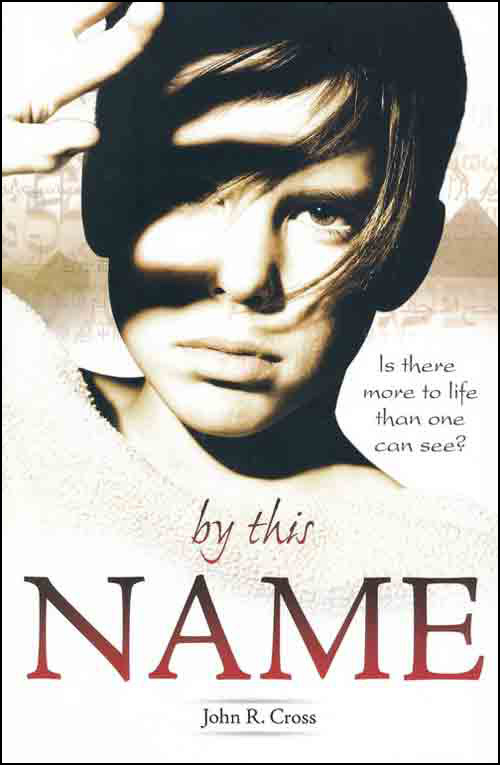 Openings for potential opportunities to speak to youth groups and minister in churches arise. 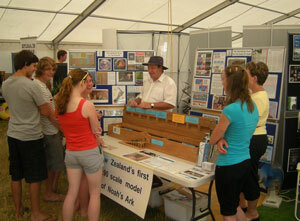 Stefan & Debbie Kitshoff at their stand adjoining ours, with the Ark model (lid open) talking with enthusiastic visitors. The role of Support Groups in doing such activities is to avoid placing an additional financial burden directly on the ministry organisation which is of course using resources all the time to ‘churn out the information’. So in the months leading up to the event, a platform of prayer was built. This especially emphasised the need for divine appointments, prepared hearts and being able to reach the ‘influencers’. We are pleased to report that donations from a range of supporters beforehand and from visitors to the stand at the event and discounted resources means that the costs have always been met. We are sure that many lives will be impacted as the resources and messages that are given away are read and passed on. We are always blessed to be a part of what God is doing to raise up a generation who will change their world by, the Lord willing, getting back to the truth of His Word. We are already planning our promotion at next year’s festival.2 We would encourage our like-minded colleagues in all parts of the world to consider such festival openings, in collaboration with your national CMI office, as tremendous opportunities exist to reach the next generation for Him. Update 7 July 2016: The Parachute Music Festival is no longer active in New Zealand with the last event held in 2014. “Support groups” is a concept in Australia and NZ in which dedicated volunteers keen to assist the ministry of CMI band together in a semiformal fashion. When there is a visiting CMI speaker, for instance, their help is invaluable in book setup and sales. In the US, for example, existing creation clubs and societies have to date been fulfilling similar functions in fraternal cooperation, which is immensely appreciated. Return to text. Parachute has expanded into Australia with starter concerts in Sydney and Brisbane in 2009. Return to text.